Here’s a snap of then Ensemble playing at Sheringham in June 2017. 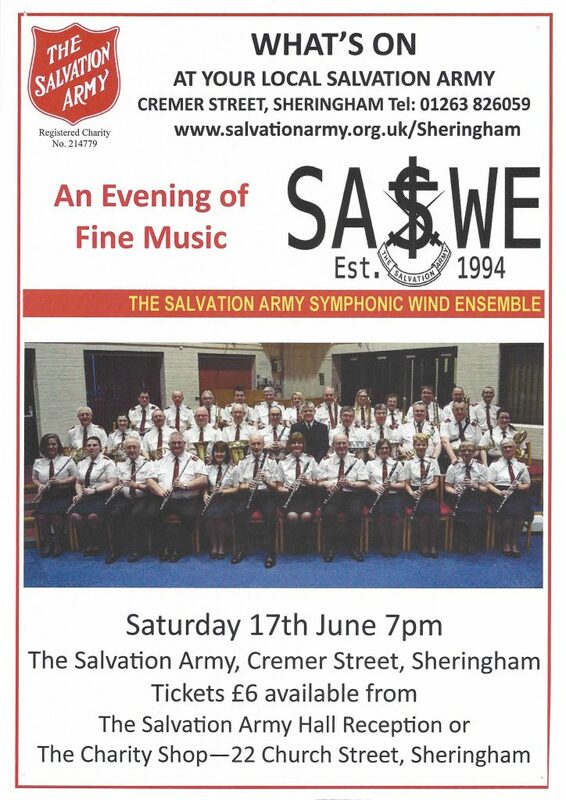 SASWE will be playing a festival of music at Sheringham Salvation Army on Saturday 17th June 2017. See you there! 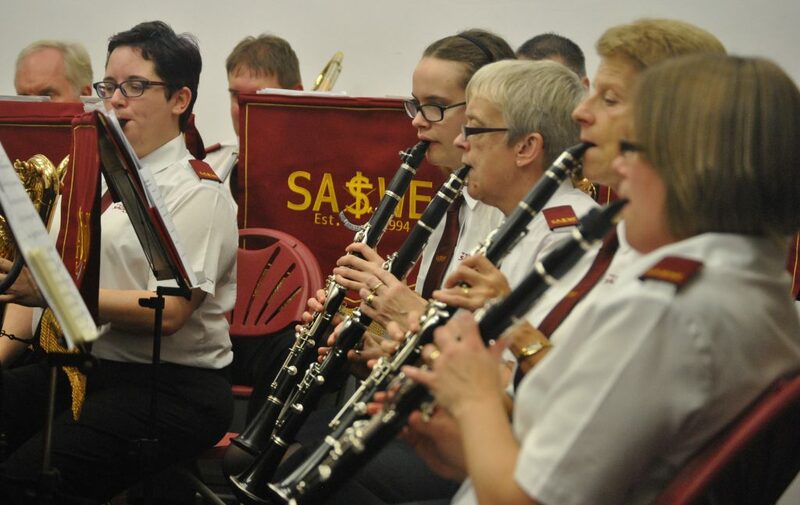 Brighton Congress Hall was the first Saturday engagement of the season for the Salvation Army Symphonic Wind Ensemble (SASWE). 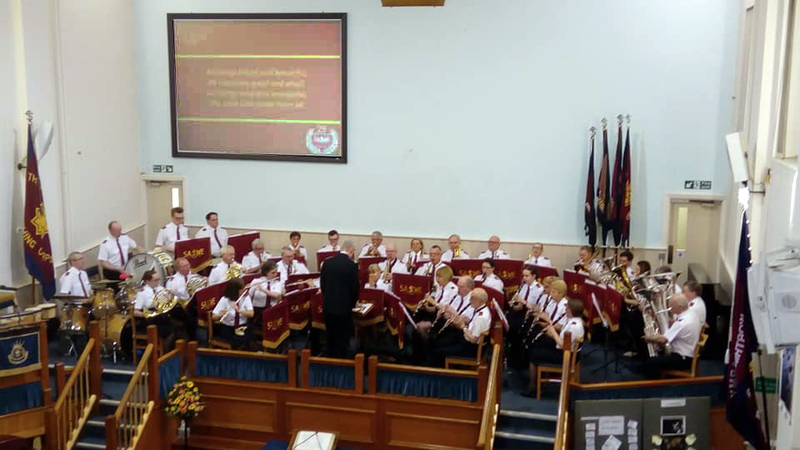 A large congregation gathered to hear a very good evening of music from this fine ensemble of musicians from all areas of the country under the leadership of Bandmaster Andrew Mackereth. 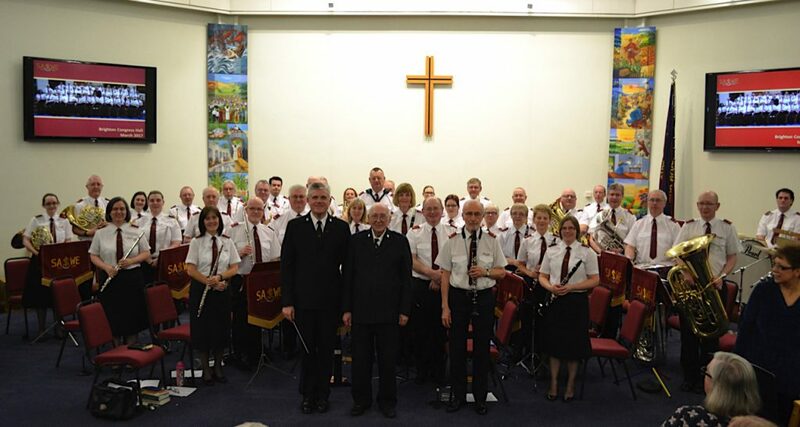 Pieces ranged from the march ‘Rejouissance’ written by a former member of the group, the late Alan Laken, to two new items one written by Retired Songster Leader Michael Babb, also a former member for many years and a valued composer, ‘I bring my heart to Jesus’ the second by Bandmaster Andrew Mackereth, ‘The Presence and the Power’. 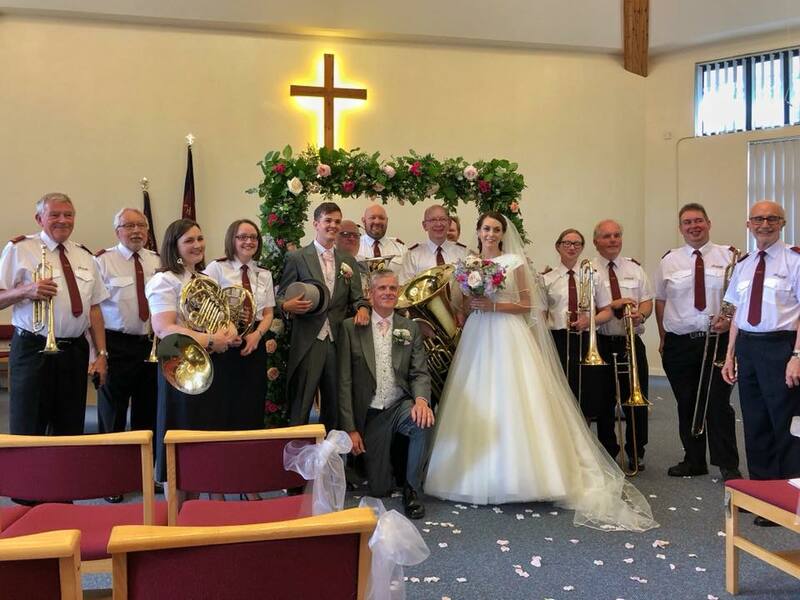 Special mention was made of the Promotion to Glory of Songster Leader Maisie Wiggins who, until last year was a very loyal member of the ensemble since it began more than twenty years ago. 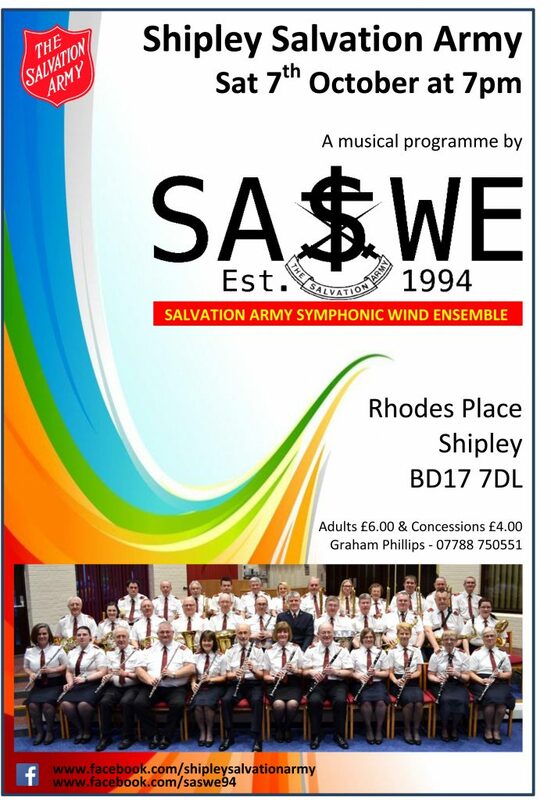 As a tribute to her, Andrew composed a piece which included parts of solos Maisie had played, and choruses and melodies which were personal to her family. 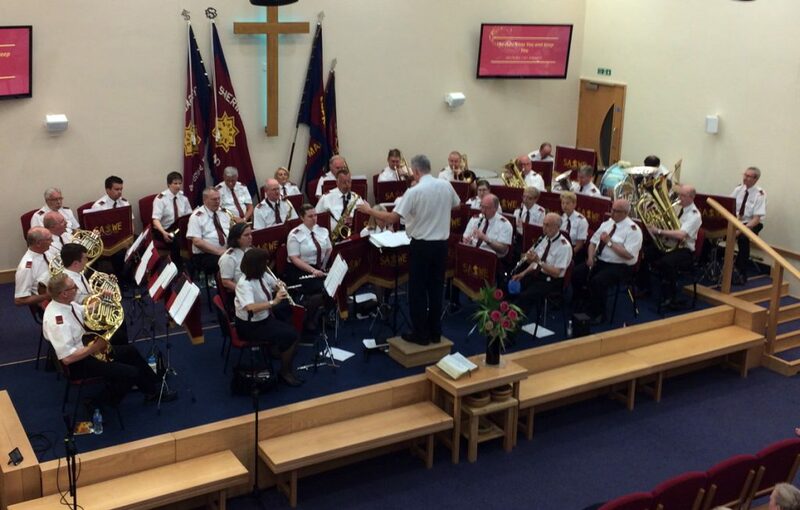 The Corps community choir ‘All Aloud’ were included in the evening and brought a good selection of secular songs. 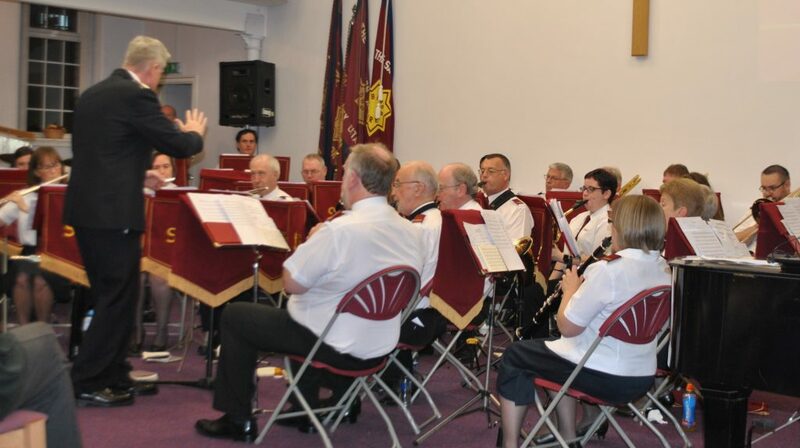 Other items included some Army classics which had been transposed by member Kevin Horner. 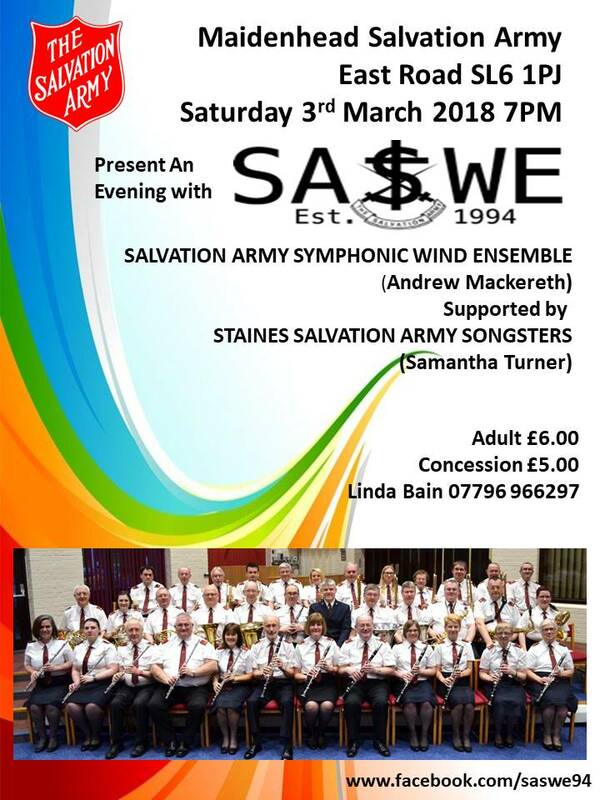 Many comments were made that the programme provided many varied and well played items making the event a great evening of fellowship and music making. 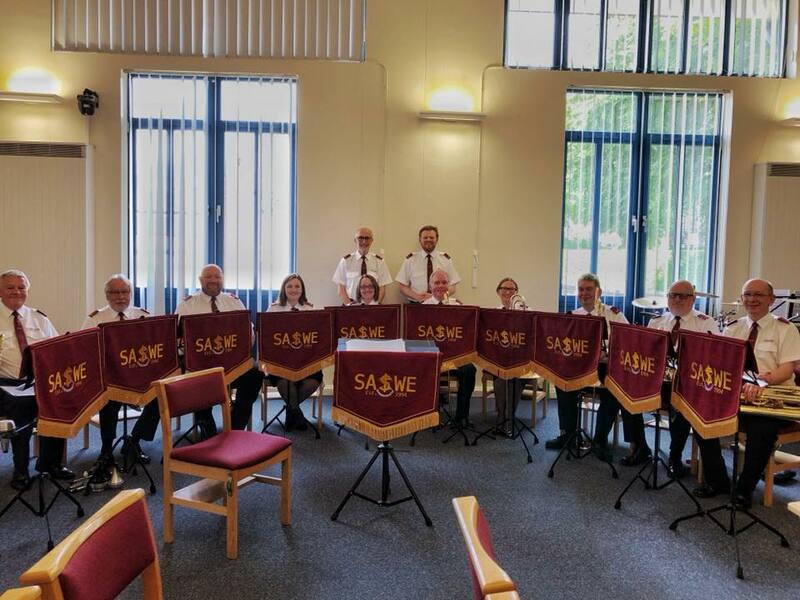 As a fitting gesture to Retired Songster Leader Michael Babb for all his contributions to the ensemble, a souvenir picture was taken of him with the band.